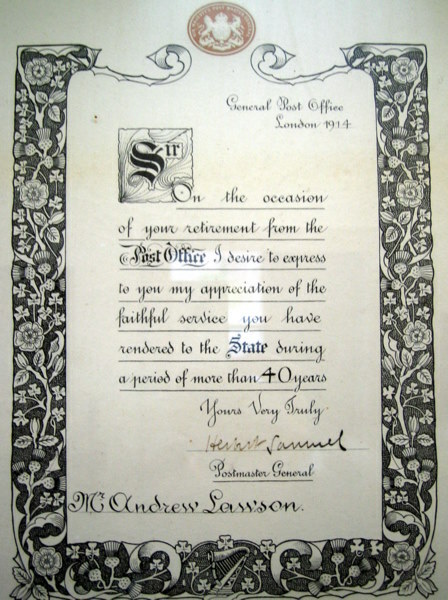 Andrew "Postie" Lawson had actually served for 50 years, delivering mail on horseback, and later with the aid of his unique, steam powered mobile sorting office and postal van, the "Craigievar Express". See image 995 for the medal which accompanied this certificate, both of which are on display at Alford Heritage Centre. The Craigievar Express can be seen at the Grampian Transport Museum in Alford.